KiDS will survey two areas of extragalactic sky, some 750 square degrees each, in four filters (u,g,r,i). In parallel, the companion VIKING project on the neighbouring VISTA telescope will cover the same area in five near-infrared bands: Z,Y,J,H,K. The integration times (see technical specifications page) are chosen so that the survey will reach a median redshift of 0.7. KiDS is part of a long heritage of ever improving wide-field optical sky surveys, starting with the historic photographic plate surveys. For the foreseeable future the KiDS/VIKING combination of superb image quality with wide wavelength coverage (u-K, 9 bands) will be unique for surveys of its size and depth. The lay-out of the survey fields is chosen to overlap with previous, publicly available huge galaxy redshift surveys ( 2dF and SDSS together measured some 300,000 redshifts in the KiDS areas), which means we already have a good map of the foreground galaxy distribution, out to redshift ~0.3, as well as spectral diagnostics for several 100,000 galaxies. One of the central aims of KiDS is to 'weigh' these galaxies systematically as function of their type and environment. The field lay-out is shown in Figure 1, with the coordinates ranges listed in Table 1. Figure 1: Layout of the KiDS survey fields, KiDS-N in the Northern galactic cap on the equator, and KiDS-S around the South Galactic Pole. Dots indicate where galaxy redshift surveys have already taken place (small dots: SDSS; large dots: 2dFGRS). The combined area of the fields is some 7% of the extragalactic sky, and KiDS can be observed year-round. At the heart of KiDS lies OmegaCAM, the 32-ccd, 300-million pixel camera on the VST. Its instantaneous field of view is a full square degree, which is mapped at 0.2 arcsec/pixel, sufficient to sample even the best seeing images on Paranal. Image quality, reliability and throughput were the key design drivers, and the expectations have been fulfilled to a point unmatched by any other similarly wide-field camera (Fig.2). The combination of excellent natural seeing at the site, fully active optics in the telescope, a constant plate scale over the full field, a relatively mild f/5.5 Cassegrain focus, extreme flatness of the CCD mosaic, and a specially designed real-time curvature sensing system in the camera itself make this a unique facility for high fidelity image surveys. Image quality is key because one of the central requirements for weak lensing surveys is to be able to measure the intrinsic shapes of faint, small galaxies accurately, and any blurring of the images degrades the accuracy to which this can be done. Figure 2: Point Spread Function ellipticity plot of a 0.6-arcsec seeing image, obtained after commissioning. 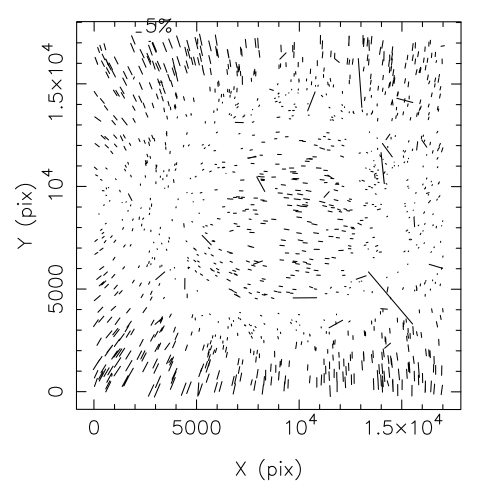 The length of each line is proportional to the ellipticity of star images (scale is at the top). Note the PSF ellipticity is everywhere below 10%, and the pattern is very regular (and easily understood as a combination of slight residual astigmatism and the focal plane curvature of the VST). The variation in the PSF width over the whole field is below 5% (not plotted). The Sloan Digital Sky Survey (SDSS) was the first "all-sky" CCD-based optical survey, setting the tone for the next generation of large-scale surveys. KiDS uses broadband filters similar to SDSS, but is considerably smaller in survey area: 1500 sq.deg for KiDS versus 20,000 sq.deg for SDSS (including SDSS II and SDSS III). However, KiDS has two major improvements that are crucial for its science goals: it is much more sensitive (by about 2 magnitudes), and it has better image quality, particularly in the r-band. 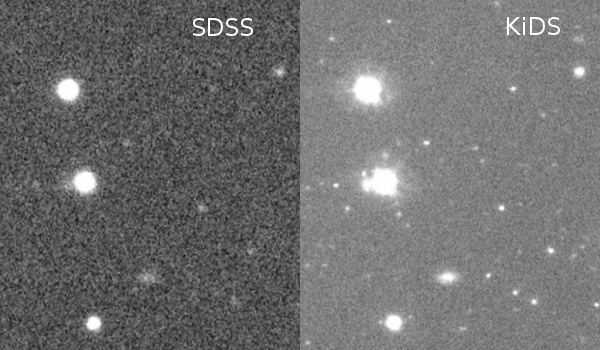 Figure 3 demonstrates these improvements by comparing part of a KiDS and SDSS r-band image. 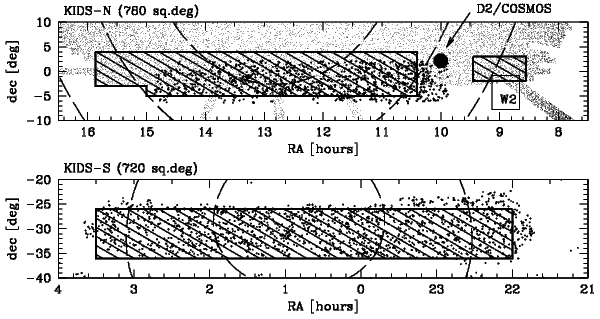 Figure 3: Comparison of SDSS r-band (left) and KiDS r-band (right) images. The CFHTLenS survey is a 155 sq.deg multi-colour optical survey, based on the CFHT Legacy Survey and optimised for weak lensing analysis. As the main science goals of CFHTLenS are the same as for KiDS and the science teams have a large overlap, this survey can be seen as a precursor to KiDS. The weak lensing analysis of CFHTLenS is based on i-band data, which is deeper than the KiDS r-band data, as shown in Figure 4. However, again KiDS has two major advantages: the survey area is 10 times larger, and the PSF is much more constant over the field-of-view, simplifying the lensing analysis signficantly. 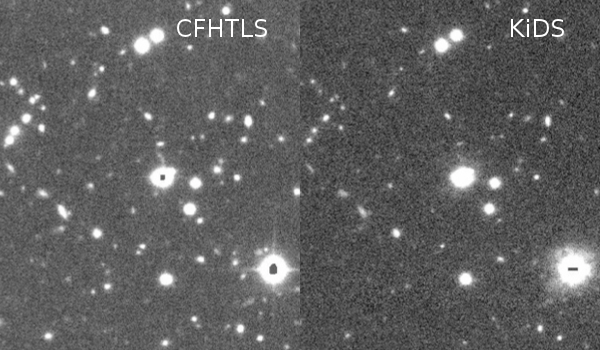 Figure 4: Comparison of CFHTLenS i-band (left) and KiDS r-band (right), the weak lensing bands of these two surveys.